Transformable bed of simple elegant design. 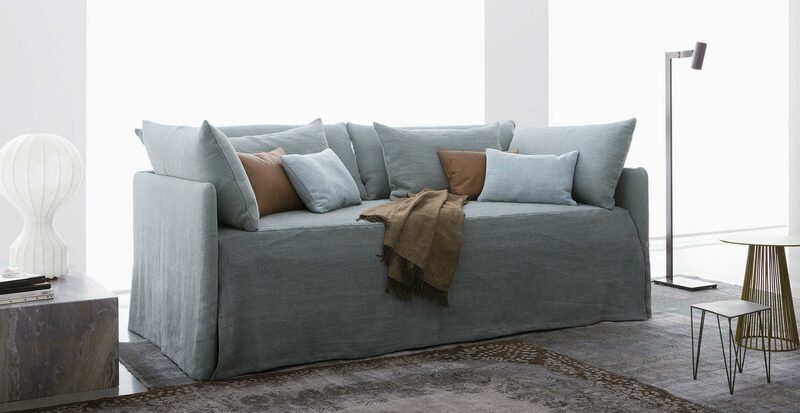 Structure with completely removable fabric, leather, Ecopelle or Nabuk covers thanks to the practical Velcro fasteners.Available with fixed bed-base. Completed by an elegant seat cover, pillow-covers and roll cushions, it can be customized with the addition of a backrest.